Is Unite Warriors Computron Significantly Different From Combiner Wars? 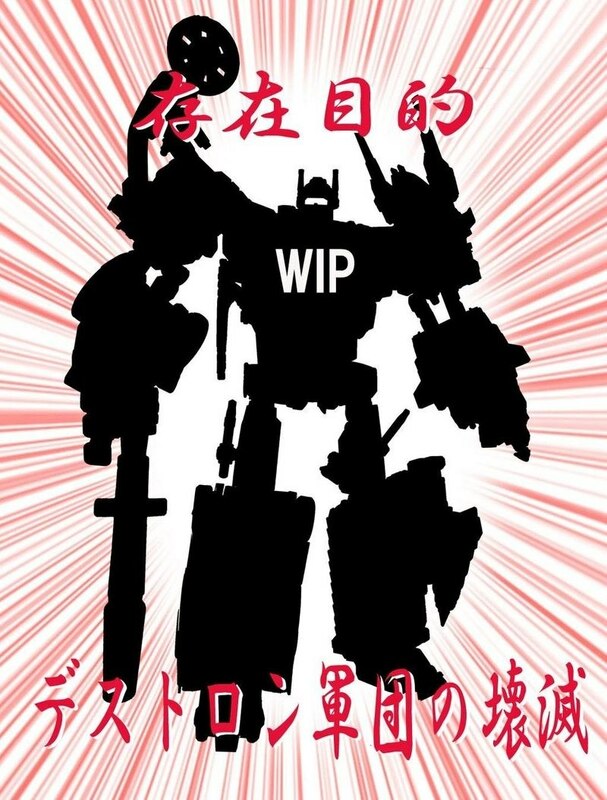 Last night we brought you the news of the first teaser for a Unite Warriors Computron, initially picking out a couple obvious details different from the leaks of the Hasbro version we've seen thus far. 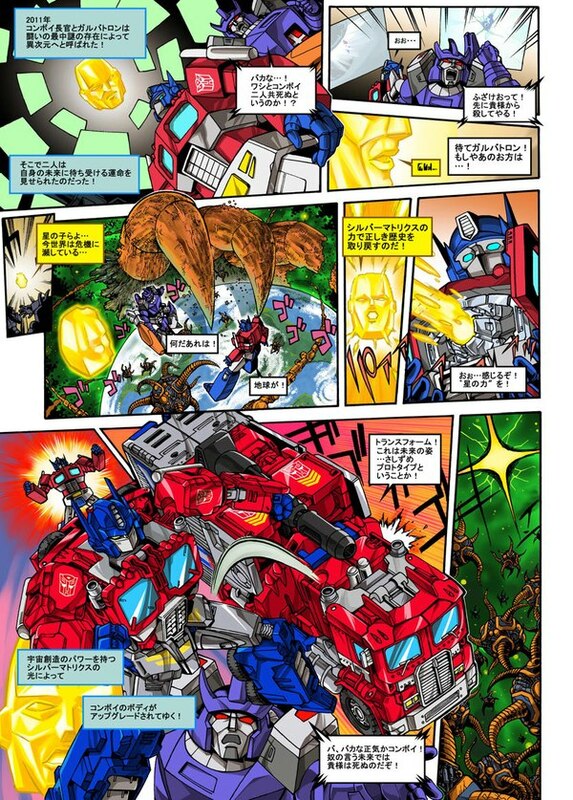 But on further examination, it seems TakaraTomy's effort may be far more modified than we would have ever guessed! We've studied the image and we've got a list of things that appear changed, along with some visual assistance. Keep reading for more! 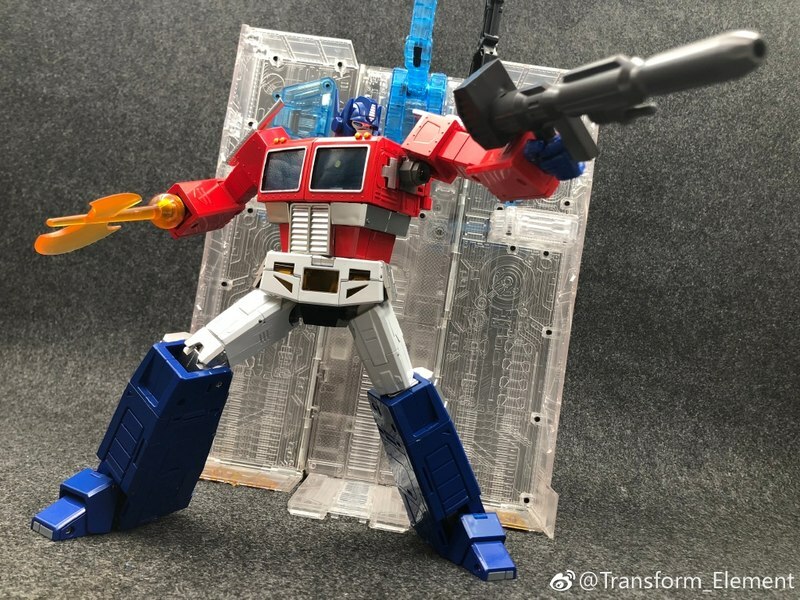 We already noted that the Computron head looks to be modified, as well that there is a unique looking rifle replacing the well-worn Silverbolt rifle mold. But those are only scratching the surface! Having seen that Hasbro's Nosecone is due to be Brawl with a drill attachment, we didn't pay much attention to Computron's right leg. But there's some strange things afoot. (yes, I take full ownership of that pun) Mainly there is a distinct shape visible around the ankle. 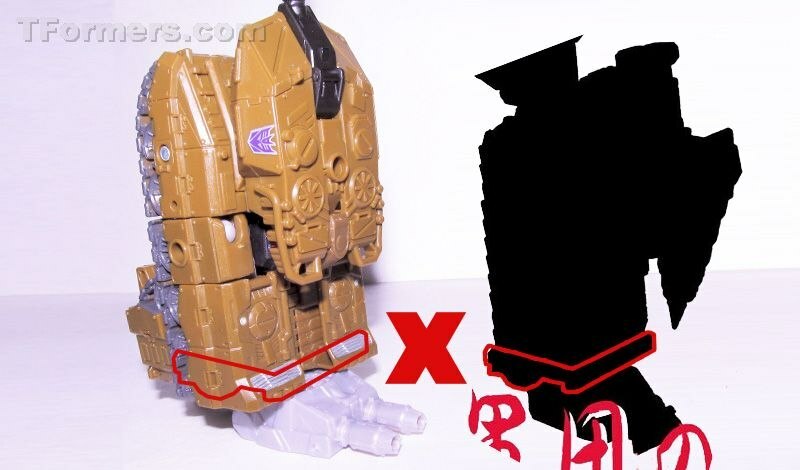 It does not even begin to match the shape that Brawl can take as a leg, but as you can see in the second image, it can very easily correspond to the same area on Rook or Swindle. Being based on Rook also answers why the drill points down. 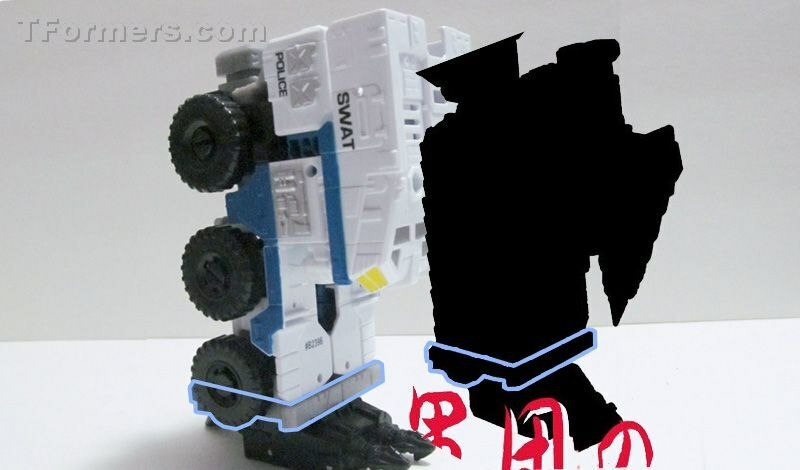 If a new part has been made to replace Rook's APC shell or Swindle's roll bar with a drill attached to the front of it, when in leg mode such a piece from the front of the vehicle would wind up higher and facing the ground. If you examine the silhouette you can see what's probably a shoulder piece on the upper right, in a shape that's different from Rook or Swindle. This suggests that much as those two figures share only a skeleton, essentially, this may be a comprehensive reshell of the base engineering for a third distinctive figure. 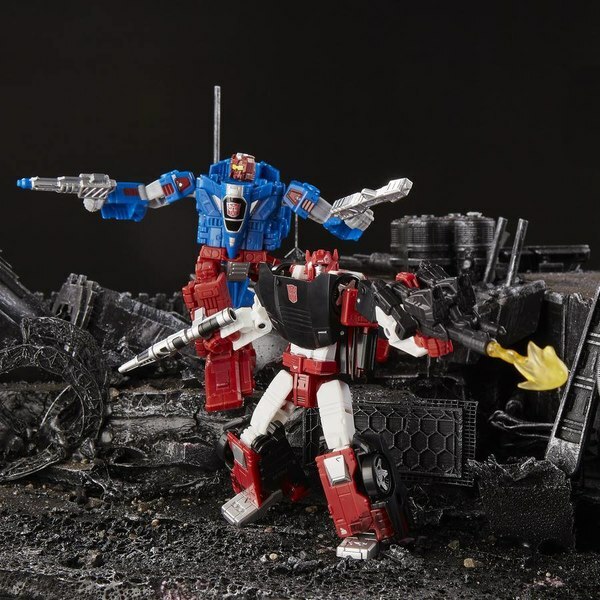 This is more ambiguous, but while we can't say exactly what's going on here, Strafe does seem quite different to the Hasbro version, retooled from Air Raid. Notably there are more small winglets sticking out, suggesting at the least a more comprehensive remolding or addition of parts. But the forearm also seems wider than should be the case with an Aerialbot mold. And looking at the general shape of the parts sticking above the shoulder line, highlighted in blue in the image below, one begins to wonder if this might not in fact be a retooled Blast Off? 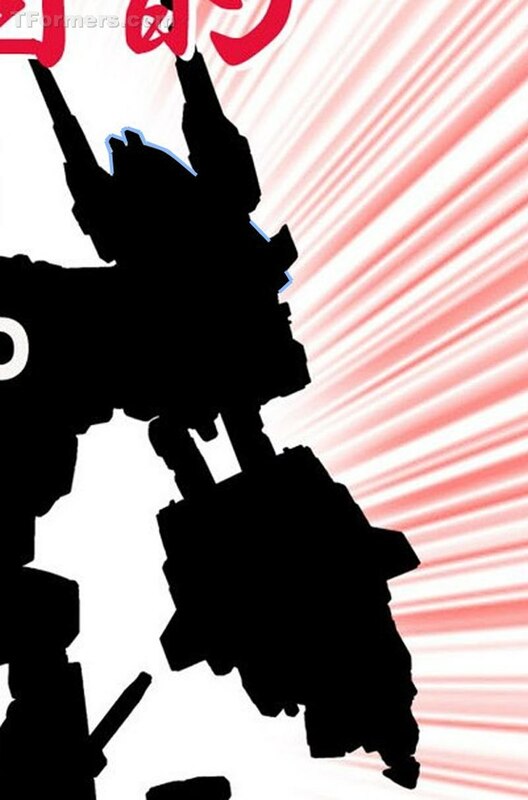 I'll note that Strafe has a Rook-type combiner hand attached in the silhouette. This is vaguely important coming up. Lightspeed is now the Breakdown base mold. This is really easy to see just in how squared off the leg is above the ankle. 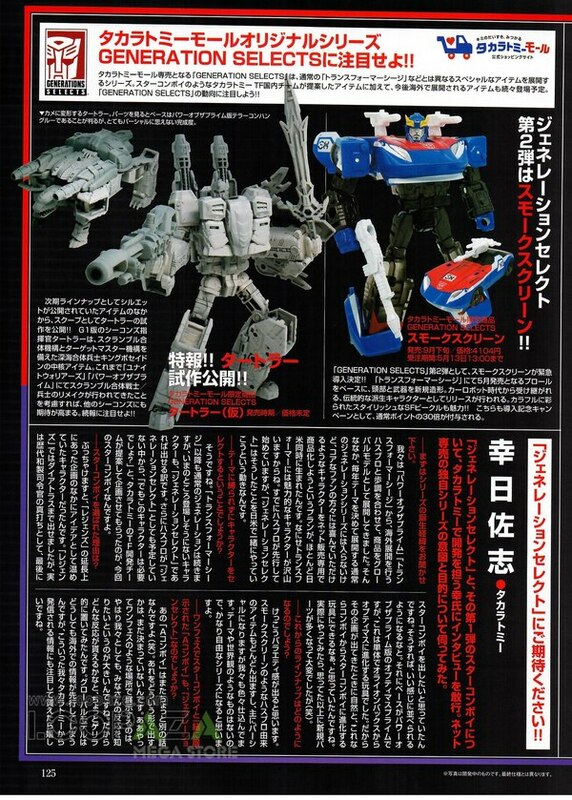 Most likely it's using the Wheeljack retool since of the choices available, it's the closest to the required appearance. If that's the case, they will hopefully be running a new, character-correct head for this. 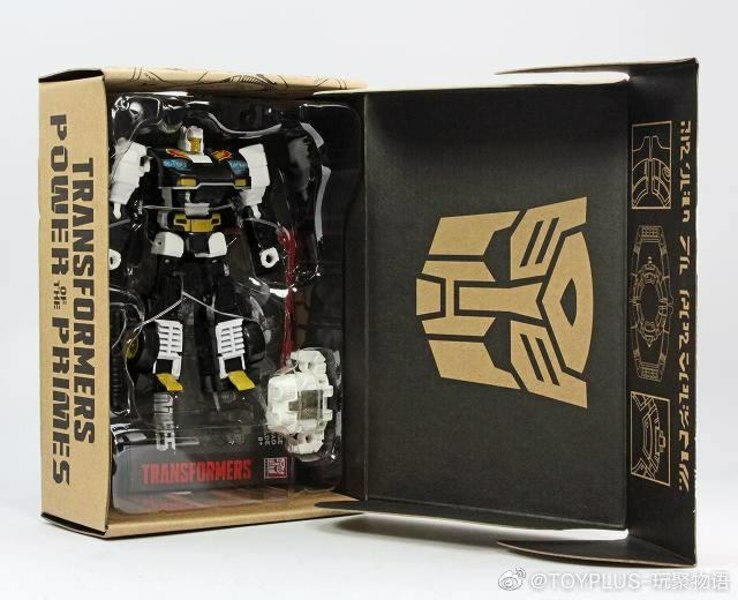 We presume if one existed for the mold already, we'd be seeing this mold choice in the Hasbro release rather than using the Streetwise/Prowl/Smokescreen car mold. 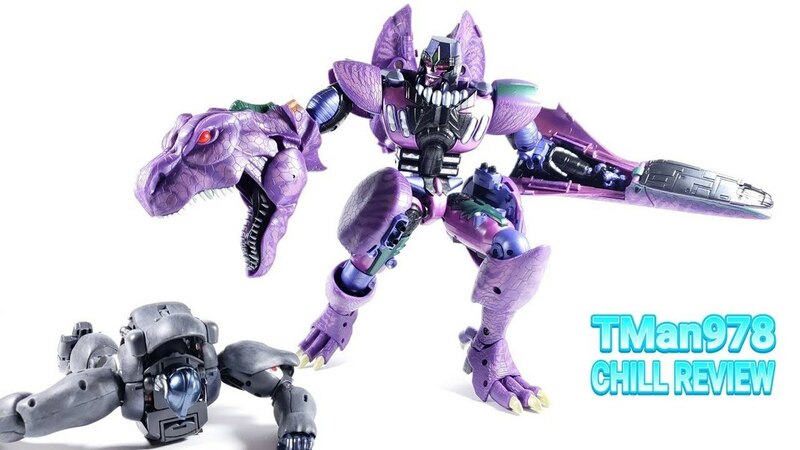 So, that's three of four limbs either obviously or very possibly different molds from the Hasbro edition. The only one left if Afterburner. Afterburner is still the Groove remold we've seen with the Combiner Wars Computron leaks. And that's wearing a Breakdown-family combiner hand, as you can just make out the huge air intakes at the knuckles. 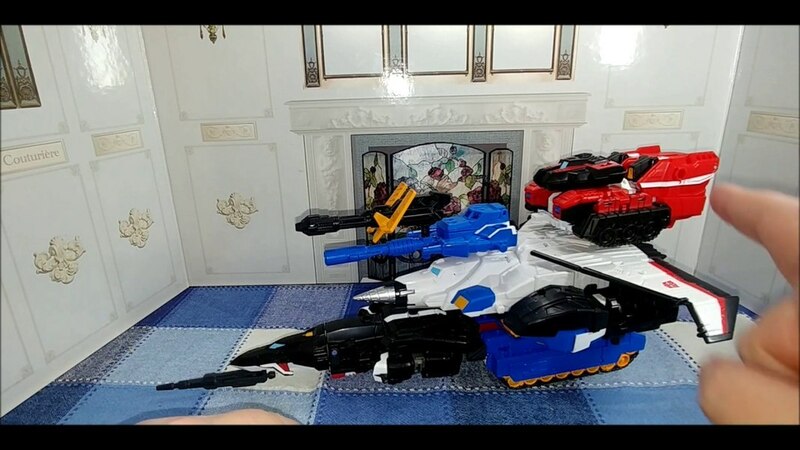 That's another way that we can support the theories of changed molds: all the apparently used molds have their combiner appendages present. 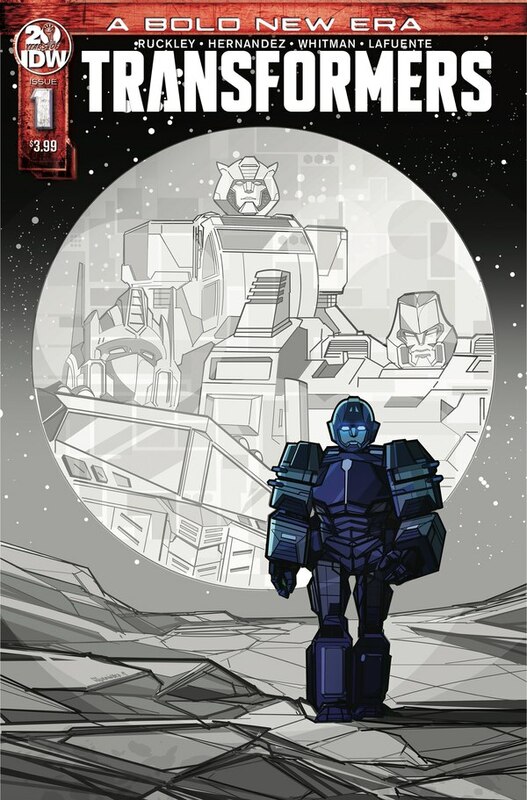 Rook's (specifically Rook's as Swindle got a different style) on Strafe, Breakdown/Sunstreaker/Wheeljack's on Afterburner, Blast Off's on Lightspeed, which makes it much more plausible that Strafe here is a retool of Unite Warriors Blast Off! 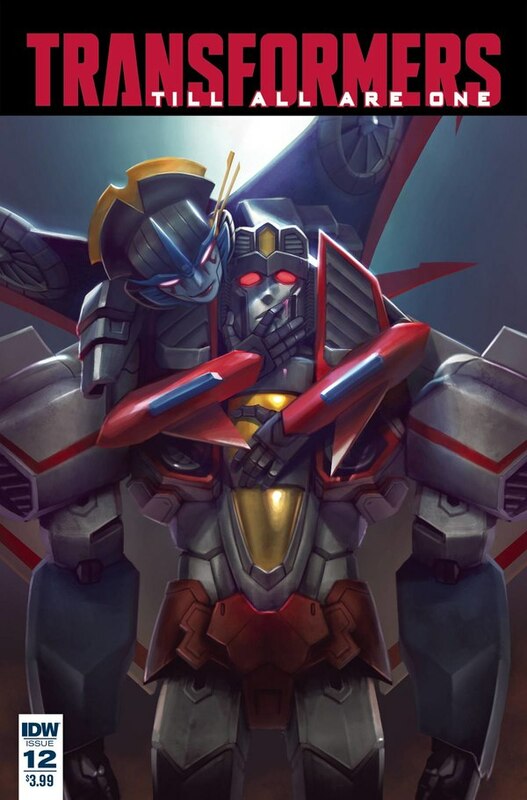 And then there's Nosecone. It's not clear what foot is under him, and that's possibly pretty telling in itself. See, so far as we know the Groove mold doesn't have a specific hand/foot part associated with it. When Defensor came out, it was assigned a second copy of the helicopter hand/foot. 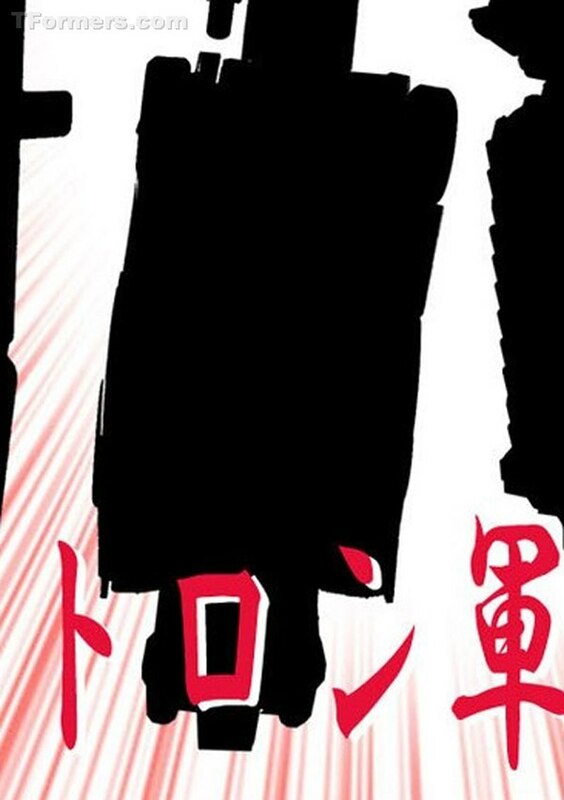 There's no visible distinct features with that foot in the teaser image. But this is the exception that proves the rule and supports the entire rest of this article. Even if they had to borrow a foot mold from another toy, that keeps it consistent under the belief that Groove has none of its own. 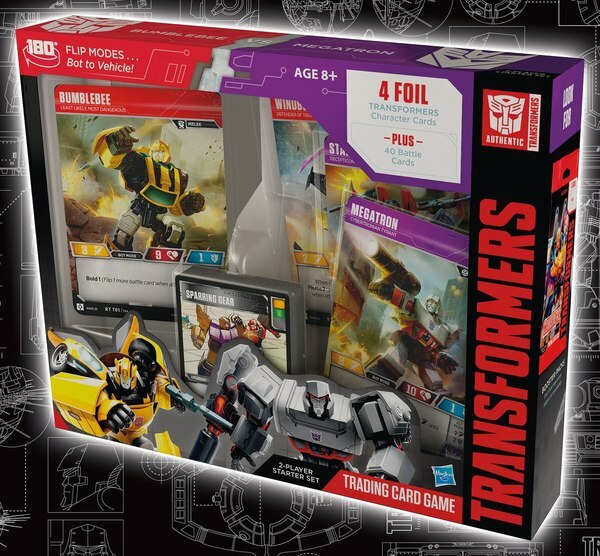 If this is a new foot piece never seen before, it's the same result because it's either specific to Groove but discarded for Defensor, or added specially for Afterburner here. 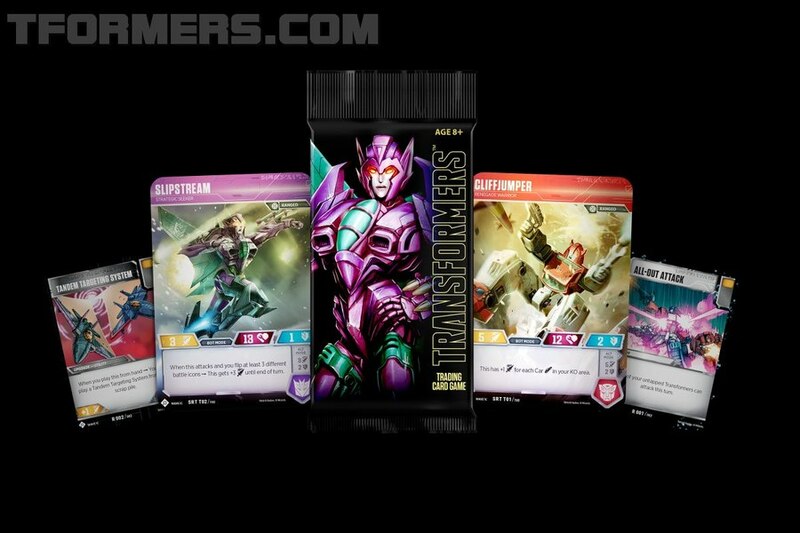 Just based on these clues, it seems pretty certain what Unite Warriors Computron will be: The same Scattershot we have, but with a new combiner head and rifle. 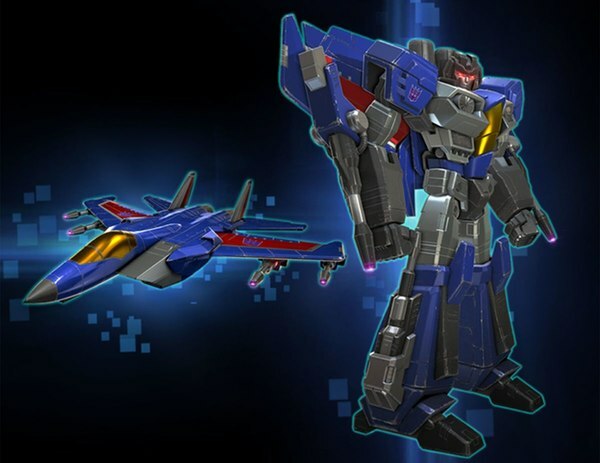 The same Afterburner we're getting in the Combiner Wars set that's yet to be officially announced. A Strafe very likely to be a retool of Blast Off rather than Air Raid. A Lightspeed retooled from an as-yet-unknown instance of the Breakdown mold family. And finally a Nosecone which looks like a second heavy reshell of Rook, owing to the drill part where the APC armor should be, and the apparent replacement of the normal wheels with some kind of tread parts. 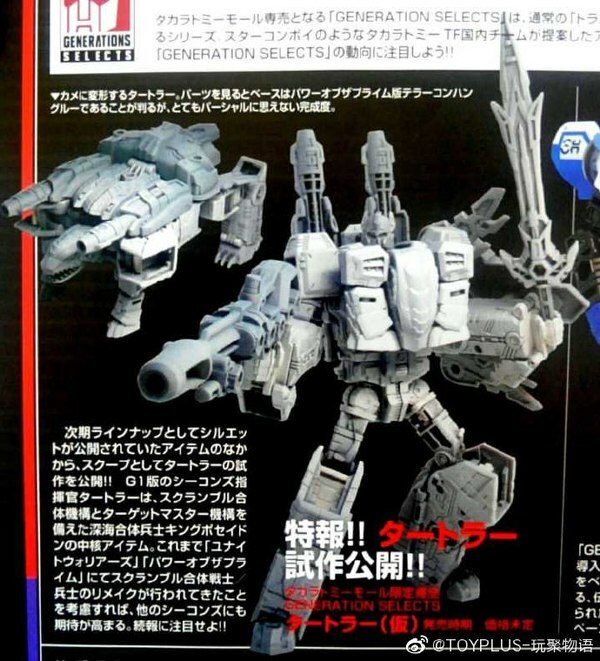 It looks like unlike most of the Unite Warriors releases which are mainly color variations of their Combiner Wars counterparts, Computron is going to make a lot of mold substitutions and even present some remolds unique to this set. 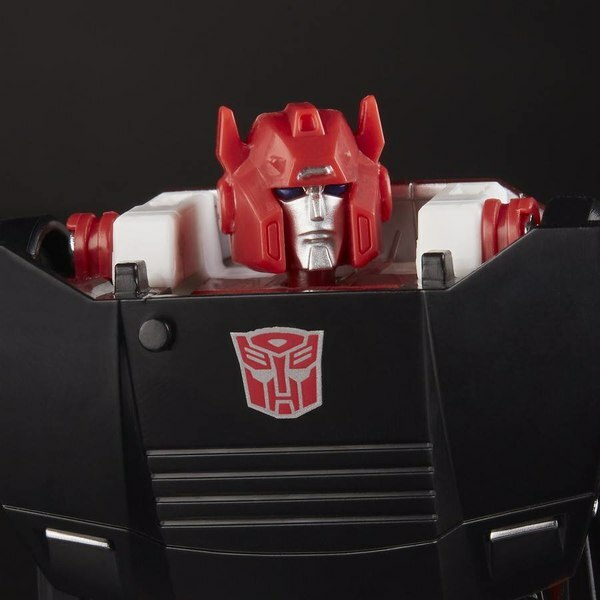 While we wait for actual images to be released to verify these findings, this should be some food for thought for anyone thinking about what direction they want to go with Computron. 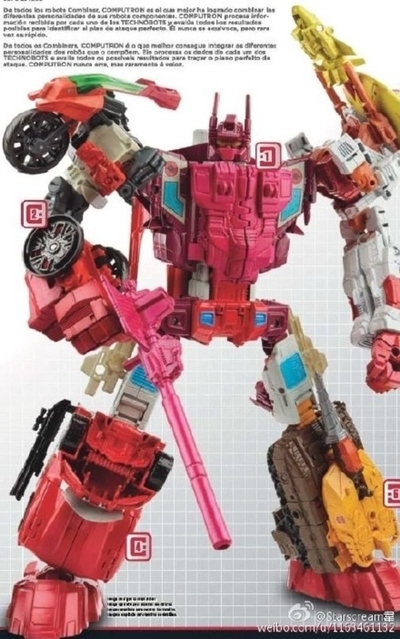 After all, given a continuing favorable exchange rate, and depending where and how this set is released, Unite Warriors Computron could be around $130-$150. 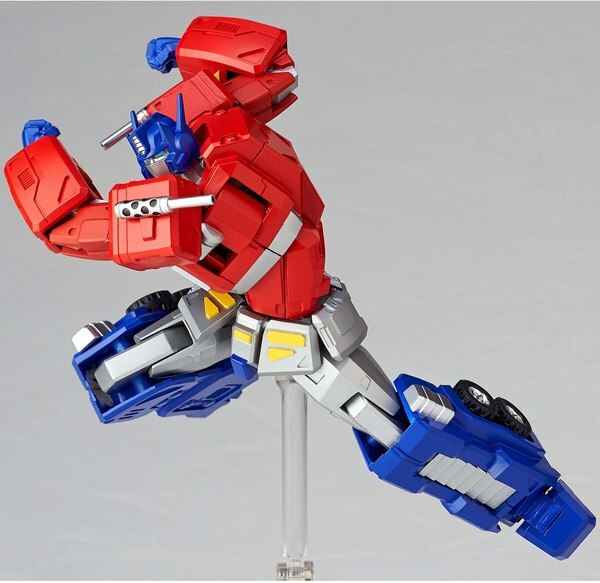 Given the $100 pricetag on the Combiner Wars sets, TakaraTomy's approach may very well be worth considering. Unite Warriors To Continue With Computron In Its Future!